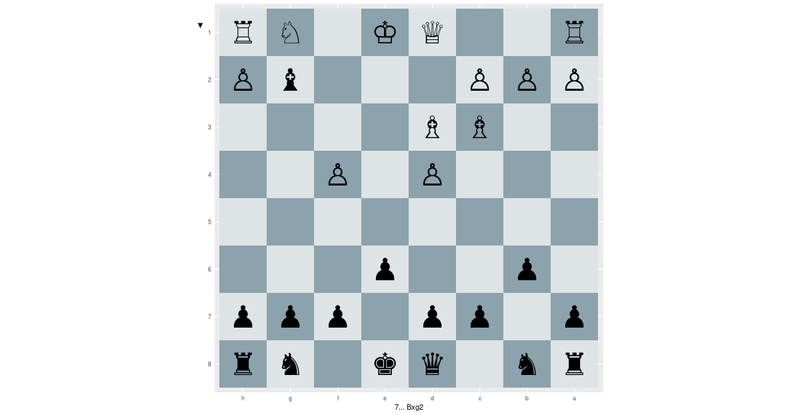 This is the second post of a serie, dedicated to rchess R package. So far, so good. We have now an image for each hal-move played in the original chess game. Just need to proceed to a quick movie montage to create a .mp4 video file. To do so, let’s first create following bash script. You have to save it into a bash file and to run it, in the folder where you produced your chess half-move image files. This will produce a file named out.mp4 . See below. So, we just created a kind of standard video movie to display a chess game. Nothing really new, but it works fine, and most of all, it opens some opportunities of more advanced video montage. You’ll ask why not using animation R package. Just because, I experienced it several times and found it to be very slow, compared to bash script invocation. Just a matter of performance on my machine. Another reason, is that it helps in tracking issues. Here, it is easy to identify the issue. If it is a content issue, then it probably comes from R processing. If it is a montage issue, it will probably have ffmpeg as origin. If we were using animation R package, resolving such issues won’t be as easy. 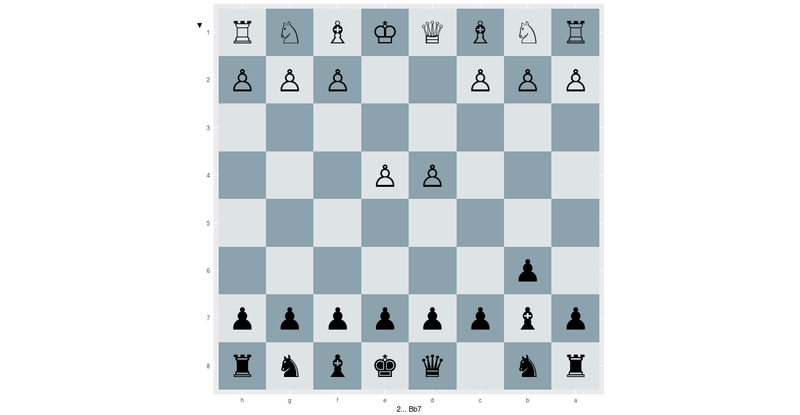 We’ll create a chessboard influence analysis system that will produce image showing influence zones on chessboard and that could display various interesting information to ease understanding of some chess moves. See you on part 3. Images made using ggplot R base package. Movie montage achieved by external shell script instrumenting ffmpeg as it appeared to be much faster and reliable than thru animation R package. © 2019 NEONIRA. Powered by Jekyll & So Simple.